Moving to Canada from the U.S.
Moving to Canada from the U.K. Employers in Atlantic Canada who wish to hire foreign talent through the Atlantic Immigration Pilot Program (AIPP) must first receive employer designation. The AIPP is an immigration pilot program, introduced in 2017. 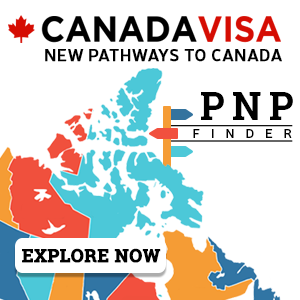 It allows eligible skilled workers, intermediate level workers, and international graduates to become permanent residents of Canada and immigrate to one of the Atlantic provinces, namely Nova Scotia, New Brunswick, Prince Edward Island, and Newfoundland and Labrador. All programs under the AIPP are employer-driven, meaning that applicants require a job offer in order to satisfy the criteria. As such, local employers play a big role in the process. There is no Labour Market Impact Assessment process under the AIPP. However, employers must still follow a few steps in order to hire through this program. Under the AIPP, employers also work with settlement service provider organizations in their province. This will help newcomers settle and integrate in Canada. In all cases, the employer must send the job offer, the settlement plan for each adult family member, and an endorsement application to the province for review. If the province approves the application, they will send the applicant/candidate an endorsement letter. This letter must be included with the immigration application. Employers in Nova Scotia looking to fill persistent labour gaps through the AIPP must first be approved for eligibility by being designated and then endorsed by the province. 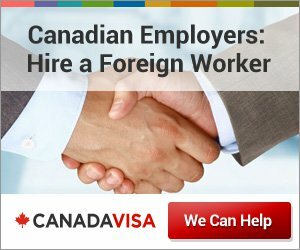 Provide an individualized settlement plan co-signed with the foreign worker. Employers must also work with a settlement service provider in the province. See below for a list of currently available providers. The following providers are recognized by IRCC for the purposes of providing settlement services to newcomers arriving under the AIPP. Antigonish Women’s Resource Centre 204 Kirk Place, 219 Main St.
Fédération acadienne de la Nouvelle-Écosse 54 Queen St.
New Dawn Enterprises 106 Townsend St. The employer is committed to meet the settlement needs of international candidate(s) and accompanying family members. Association Multiculturelle du Restigouche 95 Roseberry St. Le Centre d'accueil et d'accompagnement francophone des immigrants du Sud-Est du Nouveau-Brunswick inc. 154 Queen St.
Multicultural Association of Fredericton 28 Saunders St. Employers in PEI interested in participating in the AIPP must meet the following designation criteria. Understand and agree to the reporting requirements for the program. The Employer Designation Application Form must be completed before you can apply for endorsement of a foreign national under the Atlantic Immigration Pilot. Designated employers are eligible to apply for endorsement of a foreign national they wish to hire. PEI Association for Newcomers to Canada 49 Water St. The employer understands and agrees to the reporting requirements for the program. See the list of designated employers in Newfoundland and Labrador. The Global Talent Stream is now available to employers in the province of Quebec, allowing them to hire certain skilled foreign workers quickly with a two-week processing time standard for applications. The Global Talent Stream, first introduced in June, is part of the government of Canada’s Global Skills Strategy, an initiative designed to facilitate access to uniquely specialized foreign workers in order to promote Canada's economic growth and job creation. It is also part of Canada's Temporary Foreign Worker Program. Nova Scotia has released a new list of target 'opportunity' occupations for its Nova Scotia Demand: Express Entry Canadian immigration stream, part of the Nova Scotia Nominee Program (NSNP). Of the 16 occupations on the updated list, eight are new, with the remaining eight having also been on the previous list.